When it comes to investigating the Catholic Education Melbourne, nothing seen in the last few days suggests the ACNC is doing anything other than what a good regulator should do, writes Community Council for Australia CEO David Crosbie. As reported in Pro Bono News this week, both Tony Abbott and Bill Shorten have criticised the Australian Charities and Not-for-profit Commission (ACNC) for investigating a complaint against Catholic Education Melbourne (CEM). 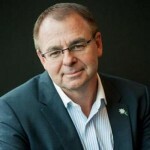 While there is nothing surprising or unusual about the ACNC action (it is not even new), the reaction of various politicians provides a very interesting insight into the issue of charitable advocacy, politics and regulation. Let us start with the obvious: if you appoint the commissioner, employ all the staff as public servants in the Australian Taxation Office, pay the Advisory Board as employees of the Australian Taxation Office and fund the agency through the federal budget, you do have influence. I have no doubt that if the government wanted a charity to be investigated it could expedite that action through the ACNC. But that is not what has happened here. There is a history around ACNC involvement with Catholic education authorities in Victoria. Thanks in part to the eagerness of Catholic education authorities to talk publicly and incompletely about their interactions with the ACNC, we have a credible public record on some these activities. The following extracts are from the Official Committee Hansard for Senate Estimates, Economics Legislation Committee, 19/10/16 pages 115 – 130. This is almost two years ago. Senator Di Natale: “On the same issue, can I just summarise the situation as I understand it? We had the Catholic Education Commission write to people – thousands of Victorian Catholic school students – advising them not to vote for the Greens in the most recent federal election. They also wrote, I think, to students in the 2014 state election. They are the facts as I understand them. Mr Locke: “…We applied the same practice and the same procedure in respect of all the complaints that we received. We received 19 complaints this year with regard to political advocacy… I cannot disclose which organisations they were, but what I can tell you was that we had 19 complaints raised with us: three of those were about organisations that are not registered charities, so we had no jurisdiction in respect of those, and 16 related to 11 charities. In respect of those 11 charities, we evaluated those concerns and we opened five investigations. I was present during these Senate Estimates in October 2016 as an observer. I enjoyed seeing one of the most conservative senators in the government and the leader of what might be described as the most progressive political party in the Senate both complaining about the ACNC – one saying the ACNC should not be following up a complaint and one arguing the complaint had not been pursued vigorously enough. For me, this diversity of criticism was one indicator that the ACNC was acting fairly. And so it is again this week. I would be surprised if the complainant to the ACNC on the advocacy by Catholic Education Melbourne was not someone from the Australian Greens. The diversity of criticism we have seen since the investigation was made public by Catholic education authorities, the strange bedfellows created, are all indicators the ACNC is not playing favorites. While I lament the lack of understanding about the role of the ACNC betrayed in various comments made by our politicians and others, nothing I have read or seen in the last few days suggests the ACNC is doing anything other than what a good regulator should do. The ACNC appears to have treated all complaints seriously, adopted due process and ensured fair application of the legislation. Whether we agree with the position certain charities take in relation to education, the environment, housing, health, welfare, religion or any issue, charities should always defend the right to advocate for a charitable purpose, including ranking the specific policies of political parties in relation to the core purpose of the charity. Engaging in advocacy does not make advocacy your charitable purpose.